The popularity of the WordPress platform is overwhelming. Because of this several web hosts made it certain to specialize in products and services which are made particularly for the platform. Now we wish to discover why selecting a managed WordPress hosting based service could be one of the most key decisions. Managed WordPress hosting comes with many advantages for business. Within a managed WordPress hosting situation, people will be accountable for none of the technical matters of running the website. Now let’s have a look at the topmost 9 reasons as to why it is important to have Managed WordPress Hosting. It is common that fast sites change traffic to revenue more successfully as well as get higher rank in search engines. Besides, speedy sites function to deliver improved experiences to different visitors. This, in turn, directs to more engaged visitors. It is known that WordPress sites can turn slow due to many technical reasons. Managed WordPress host keenly monitors such kinds of factors, creating continual optimization improvements. Moreover, Managed hosts make an infrastructure which allows the execution of WordPress to be done speedily. This is true even when the visitor loads are the heaviest. One reason as for why people must consider choosing completely Managed WordPress hosting is that doing so would let the website to perform at a higher specifications. At TD Web Services, Managed WordPress Hosting is on TDWS CloudSites platform, which give you Ultra Fast PHP 7.2 with PHP FPM, Apache + NiginX cache to serve static content, 1GBPS Port Speed and CloudFlare Integration. There is no other Hosting Provider who can match such performance. Besides, Managed WordPress provider would have environments that are essentially geared towards WordPress. The shared hosting is good, but occasionally the problem that arises is that one would require time for installing different pieces of software. This is done with the purpose to let the site run at high speed. Through cheap WordPress hosting which is managed, all the aspects are designed to function in synergy with WordPress. Hence, your site would perform in less time, and a responsive site is considered to be incredible for any business. The silent army of robots crawl the web every minute. They are looking for sites in order to break into and turn to their own evil purposes. On the other hand, Managed WordPress hosts function heavily on an aspect of security. It takes care of hardening WordPress as well as looking for afresh vulnerabilities on behalf of the site owner. In case your site got hacked, few of them will work to fix it. When you are with TD Web Services Managed Hosting platform you get massive security with Mod Security pre-installed also there are weekly scans for Malware and Virus that is performed. We will also install various security plugin and configure the same for you, which will esure that your WordPress is safe and that you never loose anything. When it comes to core server and network, it is fully protected with layers of security making it difficult for any attackers to breach into our network or servers. Not only that, we are one of the few hosting providers who are proactive in monitoring their system. All the servers are monitored in real time with TDWS Global Monitoring System. Even with all the precautions taken, and your WordPress is breached, the backup system can be used to restore your site. At TD Web Services, the team of trained IT professionals watches your website for 24 hours a day and seven days a week. So, you can buy Managed WordPress Hosting from TD Web Services. On your site, when you have carried out months of hard, a time comes when it all pays off. However, this is the time when the majority of websites fail. Exactly at the instant when your site is it’s most trendy, the squash of visitors overwhelms the server. This, in turn, results into site getting down. It is known that Managed WordPress hosts work to automatically scale the site’s traffic to supply service to tons of visitors. This, in turn, would avoid the terrible “Error Establishing a Database Connection” error message. This message is when you lastly hit that front page of CNN, Reddit, or any of the favorite publication of yours. The most general query asked by people is how they back up their site. Essentially, if your website is hosted by a Managed WordPress host, then you are already covered. It handles the site operation for you, backing up your website every night automatically. In case if anything seems wrong, then you can effortlessly restore your site right from a backup simply by few clicks. Besides, they even work to automatically update your website to the newest version of WordPress each time a new version is issued. This ensures that users always stay up to date as well as secure. This suggests updating the WordPress core, themes, and plugins are not carried out by the customers but accomplished automatically via the platform. If you go for Managed WordPress Hosting from TD Web Services, the automatic updates and nightly backups are easily managed. Several hosts function to support their own server hardware only. Hence, whenever your site turns down or displays errors, they just indicate that you that the server is fine. It also indicates that it imposes the responsibility back to you. On the other hand, Managed WordPress hosts utilize experts in not only servers, but also MySQL, PHP, and WordPress itself. Besides, their support lines are also staffed by experts of WordPress. Hence, their team could assist you to troubleshoot issues at each level of the software stack of your website. 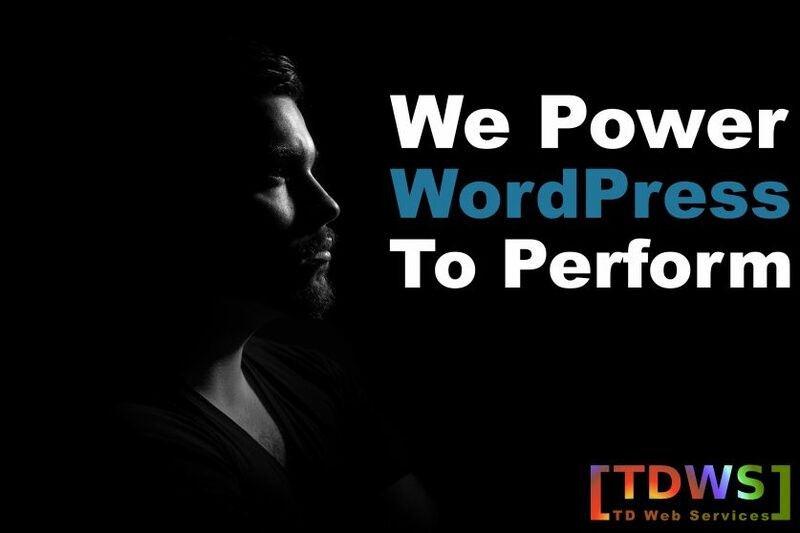 It is known that customers get only the finest 24/7 technical support via Managed WordPress hosting from TD Web Services. This guarantees that all the issues are solved faster. Hence, people should buy hosting service from TD Web Services. In Managed WordPress hosting, staging environment facilitates you to create an exact replica of your on-hand site on an entirely separate domain. You are able to make any changes you wish to the staging site. You can also see everything within live action prior driving the entire shebang back to the production site. The aspects permit you to get as courageous as you wish through the help of themes, plugins, etc. It also shows your peers, clients, etc. prior committing to any changes. Managed WordPress hosting assures 100% uptime guarantee. This is essentially a flexible solution in scaling which allows customers to seek benefits of boundless storage space even throughout peak times when there is a shortage of storage resources. Apart from that, if issues occur with your website, then a backup service is offered with Managed WordPress hosting. This is done in order to restore your system as well as get it back to working order. In case you are a developer or want to use developer-friendly type features, a fully Managed WordPress hosting is perfect. In such instances, you would be provided access to features which are considered perfect for developers. These features might not customarily be available while you opt for shared hosting. For some features like SSH Access, GIT, WordPress Stagging, and many more, fully managed WordPress hosting proves valuable. Managed WordPress hosting comes with all the advantages as described above. However, it would cost higher as compared to the average shared hosting provider. From TD Web Services, there is an all-purpose control panel which is easy to manage. Besides, you can get everything about your website from single place. Right from little towards big, simple to complex, this web service offer everything you need to get online. Hence, people can go for buy Managed WordPress Hosting from TD Web Services without any doubts or worries.